Indigenus, an independent global network of entrepreneurial healthcare creative agencies, announced the winners of the second edition of the annual indiGENIUS Awards at a gala celebration during the network’s biannual partners meeting in Japan. Indigenus Announces the Winners of the 2012 indiGENIUS Awards KYOTO, Japan (April 18, 2012) – Indigenus, an independent global network of entrepreneurial healthcare creative agencies, announced the winners of the second edition of the annual indiGENIUS Awards at a gala celebration during the network’s biannual partners meeting in Japan. The Indigenus network spans major and emerging global markets, providing pharmaceutical and healthcare companies with innovative multichannel global branding, advertising, medical education, and medical communications. Local agency partners collaborate closely from prelaunch through life-cycle management, blending insights and creativity from across the globe, a process Indigenus calls global fusion branding. indiGENIUS Awards Celebrate Innovative Creative The indiGENIUS Awards recognize outstanding creative work produced by Indigenus agency partners in the print, digital, audiovisual, integrated campaign, self-promotion, and “beyond healthcare” categories. “Living outside the traditional network model has very tangible benefits in terms of innovation,” said Rico Viray, Chairman of Indigenus, and Founding Partner of The CementBloc in New York. “The indiGENIUS Awards are a celebration of this independent thinking and creativity.” This year’s indiGENIUS Awards winners were chosen by network members from over 70 campaigns submitted by Indigenus agencies. The ceremony was hosted by PharMa International, an Indigenus affiliate agency based in Japan. Winners received an award statue commemorating their win in the bronze, silver, or gold classification. Indigenus Global Network Indigenus is an independent global network of entrepreneurial healthcare creative agencies who work collaboratively to combine innovation and creativity with a generous pinch of local flavor. 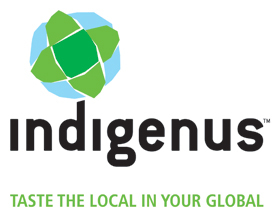 Indigenus was formed in 2004, and currently comprises 12 agencies that serve major and emerging markets: The CementBloc (USA), PAN Advertising Limited (UK), umbilical (Spain), Strategik & Numerik (France), serviceplan health & life (Germany), thenewway (Italy), g Healthcare (Turkey), Marketing Latino (Mexico), Sorento Healthcare Communications (India), PharMa International Inc (Japan), Thanks Comunicação (Brazil), Lindh & Partners (Sweden), and Micó Publicidad (Argentina). Indigenus is currently credentialing potential agency partners in Australia, Canada, China, and Russia. Secondary markets are served by the Worldsourcing Initiative (WIN), which centralizes rollout to drive brand consistency and cost-efficiency. Visit www.indigenus.net to learn more.